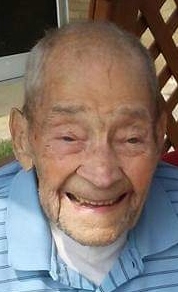 LeRoy Charles “Poppy” Muth, 93, of Strawberry Street, Weedville, PA, went peacefully to be with the Lord, Tuesday, January 15, 2019 at Christ the King Manor of DuBois. A son of the late Morris C. and Hilda (Cross) Muth, he was born on December 3, 1925 in Akron, OH. When he was 12 years old, with his father and sister, he moved to Luthersburg, PA where he worked on his Uncle’s farm and various other farms. After graduating Brady Township High School, he attended the Chicago School for Hydraulics becoming a Millwright in hydraulic machines. LeRoy served in the US Army as paratrooper for the 17th Airbourne during WWII. He was a Machine Gunner and as he always said, “1st man out”. He fought in the European Theater being directly involved in Operation Varsity, Battle of the Buldge and the jump over the Rhine River. He was awarded the Campaign Medal, Good Conduct Medal and the WWII Victory Medal. He was honorably discharged on May 4th, 1946. On December 31, 1952 he married the love of his life, Dolores Louise (Gould). They were never separated until her passing on December 9, 2016. LeRoy worked at Stackpole Carbon Co. in St.Marys, PA for 40 years, retiring in 1989. He loved working around the house, tending to his prized garden and fixing things. He was always willing to lend a helping hand and brought a smile to everyone he met. He is a member of the Penfield United Methodist Church, a near fifty year member of the Bennetts Valley American Legion and past member of the Bennetts Valley Lions Club. LeRoy is survived by: his only sister Irene Daugherty of Apollo, PA; two children, Karen (Rich) Eckenroth of Treasure Lake and David Muth of Butler, PA; three grandchildren, Brandon (Jessica) Kowalski of Weedville, Ericka Bontempo and her fiancé Roger Nussbaum of Treasure Lake and Jayden Sterling of GA; six great-grandchildren, Alex Klender, Alyssa Umstead, Christian Umstead, Emily Kowalski, Dominic Curtis, and Lukasz Curtis. Visitation will be held on Sunday, January 20, 2019 from 2 – 4 and 7 – 9 p.m. and again on Monday from 9:30 – 10:30 a.m. at the Ralph M. Geer Funeral Home of Penfield, PA.
Funeral Services will be held, 11:00 a.m., Monday, January 21, 2019 at the Penfield United Methodist Church with Pastor Randy Hall. Military honors will be accorded by the Bennett’s Valley American Legion Post 978 Burial Detail. Interment will take place in Morningside Cemetery next to his wife. The family suggests memorials to the Penfield United Methodist Church or the Jay Township Volunteer Fire Company and will be accepting online condolences at www.nedzafamilyfuneralhomes.com.